If you have expenses that need to be recorded periodically, set up a recurring expense profile and save time spent on creating them again. Always keep track of how much you spend. 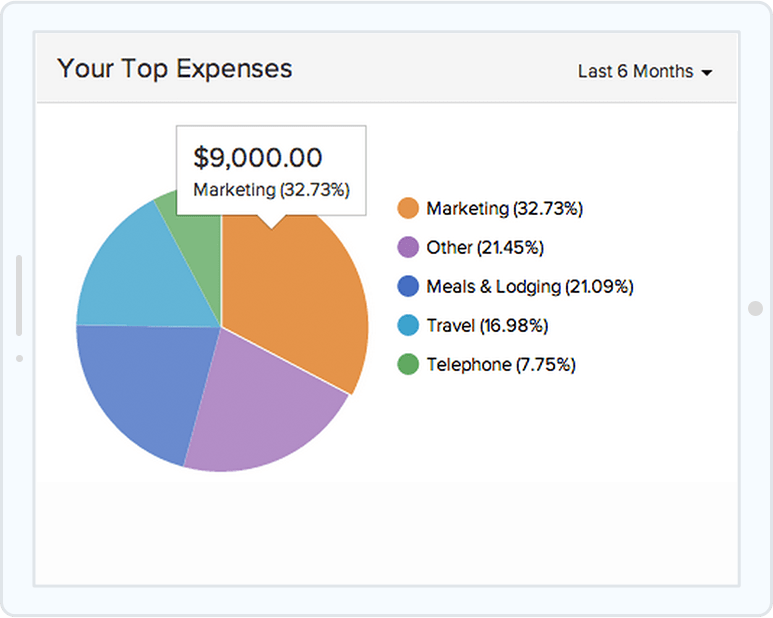 You can get a complete break-down of your expenses in the form of a pie chart for easy analysis. For obvious reasons, you might want to view the receipts for every expense. All you have to do is take a picture of the receipts, and upload it to your expenses. 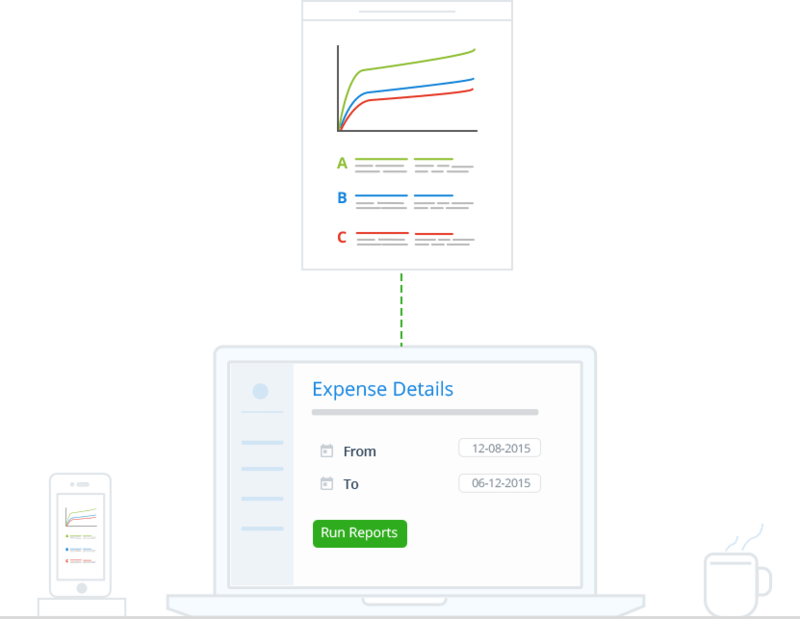 Get detailed reports on your expenses to manage your business finances without hassle. Why do I need to categorize my expenses and how can I categorize expenses in Zoho Invoice? 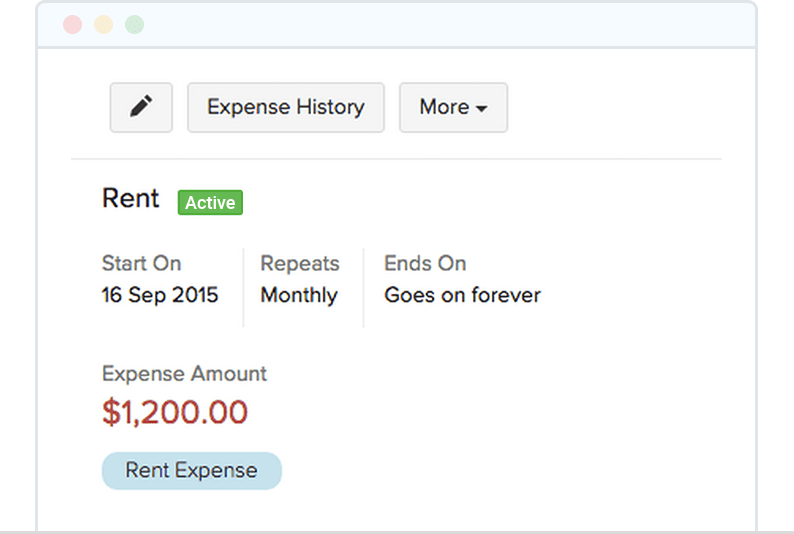 Categorizing your expenses makes it easy for you track your expenses better. You can categorize your expenses at the time of expense creation by clicking on the category and choosing the respective option from the category. How can I create expenses while I am away from office? With Zoho Invoice mobile apps(iOS, Android, Windows), you can create and track expenses from anywhere, anytime. How can I track mileage expenses? To track your mileage expenses, you can click on the expenses module and choose record mileage and enter the relevent details. It is that simple. How do I invoice the billable expenses? At the time of creating the expense, mark it as billable and you can convert it to an invoice in a click. 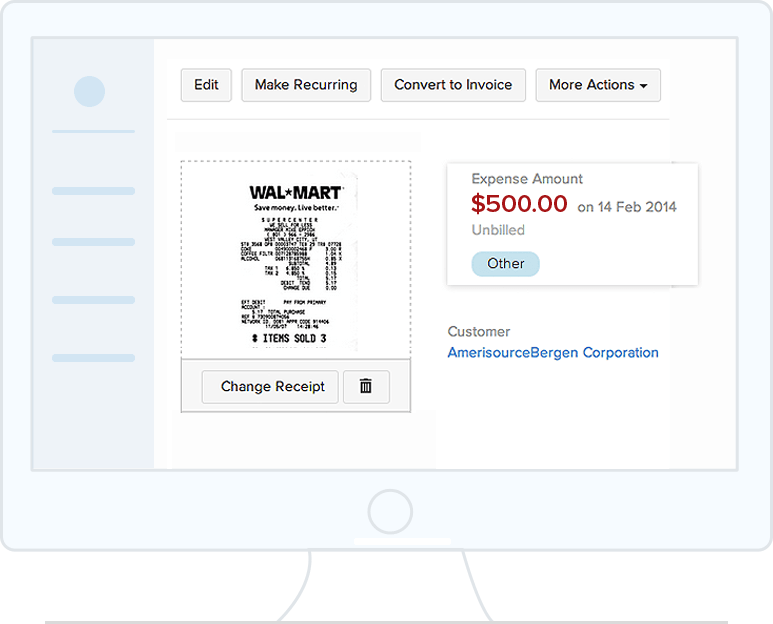 Sign up for Zoho Invoice!